What you need to know: Adults with AS have a higher rate of suicide attempts compared to the general population. Those with a history of past suicide attempts also reported that they had more severe AS symptoms, such as difficulties with communication and attention. This research contributes to our understanding of the cause of high suicide rates for adults with AS. Individuals with Asperger syndrome (AS) may be at a higher risk of suicide when compared to the general population. 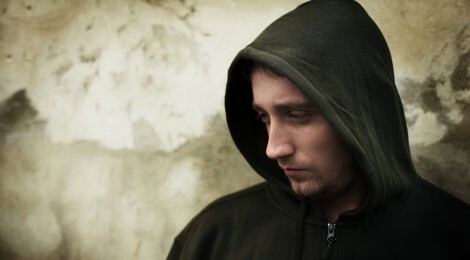 It is important to understand what causes certain people with AS to attempt suicide. Many past studies have been single participant case studies, which limits how we can apply the results to a larger population. This study aimed to study the demographic and clinical variables connected with past suicide attempts in adults with AS. The authors also looked at the types of support and services people with AS were receiving after having attempted suicide. Severity was measured using the Autism Spectrum Quotient which includes items about social skills, attention switching, attention to detail, communication and imagination. Eighteen out of 50 adults (36%) reported a previous suicide attempt. This is much higher than the general population, where an average rate of 4.5% is commonly reported. Individuals who had previously attempted suicide were more likely to report a history of problems with depression. Many who had not attempted suicide also had problems with anxiety and depression. Those who had previously attempted suicide were also more likely to have greater difficulties in attention switching and communication. Problems with communication can make it harder to ask for help. Problems with attention switching can make it easy to get “stuck” thinking about certain things and therefore, harder to adjust to change. The majority (67%) of those who attempted suicide used at least one mental health service in the two months prior to the study. Many of the participants in this study struggled with depression and anxiety, and over 35% attempted suicide. It is important to raise awareness of the mental health concerns many individuals with AS face. Adults with AS require specific mental health interventions to address the higher rate of suicide. Melissa Paquette-Smith and Yona Lunsky are researchers at the Centre for Addiction and Mental Health. Jonathan Weiss is the Chair in Autism Spectrum Disorders Treatment and Care Research and a researcher at York University. Citation: Paquette-Smith, M., Weiss, J., & Lunsky, Y. (2014). History of suicide attempts in adults with Asperger syndrome. Crisis, 35(4), 273-277.